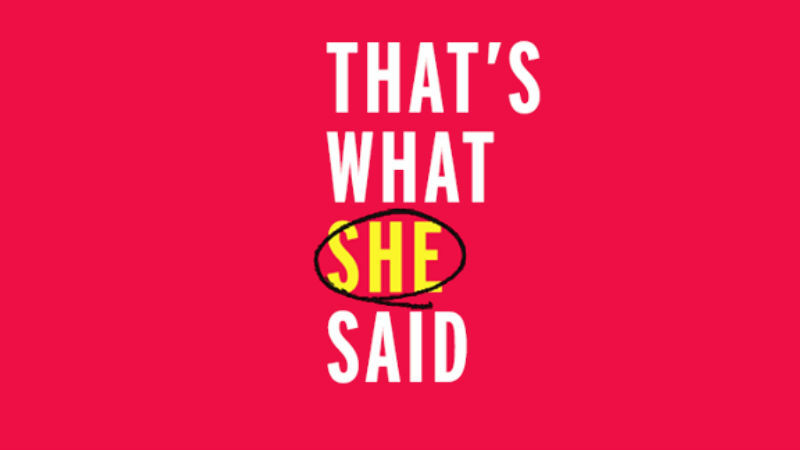 The 2018 book That’s What She Said: What Men Need to Know (and Women Need to Tell Them) about Working Together is about to get its own scripted TV series. Deadline reports that Anonymous Content has teamed up with Red Arrow Studios International and producer Charlie Lyons to develop the show. From author Joanne Lipman, That’s What She Said is a collection of anecdotes from her own rise to the top of a male-dominated industry, interjected with data and research to offer real-world solutions for combating unconscious bias, sexual harassment, the wage gap, and other systemic problems that seem to run rampant in almost every professional environment. “Joanne is a dazzling storyteller with the worldview and wisdom to tackle this provocative project. I’m honored to work with her, Anonymous and Red Arrow on this exciting television event,” Lyons said about the project. Anonymous Content, best known for True Detective, will co-produce with Red Arrow Studios International, best known for Bosch. Lyons will both produce and executive produce alongside Paul Green, Paula Munoz Vega, Carlo Dusi and Bo Stehmeier. They are currently in discussions with writers to develop. That’s What She Said was published by HarperCollins in January of this year.